What is the electoral relevance of Obasanjo’s letter? I don’t speak for Buhari but I have sympathy for him. I am not a fan of OBJ but you can’t take anything away from his achievements. Two times President of Nigeria. PhD degree. Traditional Ruler and Elder. International Statesmen etc. Truth be told OBJ is a director or probably Chairman of Nigeria Plc. He is a kingmaker and his friends, acquaintance, haters, non – fans and fans know it. Buhari knows it. Atiku does. Anybody who is interested in leading Nigeria knows that Obsanjo is one of the people you ideally want on your side. But he might be the Chairman, his fellow Directors are equally important. Although not a politician, Aliko Dangote is one of ‘dem dem’. Nobody becomes President in Nigeria without Aliko’s support. Although Dangote is smart and tends to support all of them perhaps to varying degree. You might also want to consider Dangote’s fellow businessmen and now legitimate billionaires as a huge voice and factor in winning elections in Nigeria. Although he might appear a bit diminished, IBB is also a factor. He still has his network but you might think his inability to overcome the enormous resources Wike deployed during the recent PDP primaries is a sign that IBB’s influence and willingness to spend money for political ends is on the wane. The Governors of the different states of Nigeria are a huge power bloc. They are for all intents and purposes and in my opinion the most powerful members of Nigeria Plc. They decide who becomes President. Simple. They have the instrument of coercion and money. The Principal Officers of the National Assembly have a voice too. They have an independent treasury at their disposal and can also mobilise funds from like minds and (rumour has it) from financial institutions. The big ‘iroko’ trees from a campaign finance perspective are the government parastatals like NNPC (PPMC, NLNG – think dividends, DPR etc) NPA, PTAD & CBN (just drive in with a truck and exit with dollars) etc. Nigerians have to be grateful to Buhari. They exposed Nigerians to what went on behind closed doors when the Goodluck Jonathan government stole all of our money and still messed in our mouths. Goodluck Jonathan taught us many things. He taught us how to turn institutions of states into electoral money making machines for individuals. He transformed ‘has – beens’ like Raymond Dokpesi, Olisa Metuh, Attahiru Bafarrawa, Haliru Bello, Tony Anenih, Iyorchia Ayu into overnight billionaires in the quest to win elections. Doling out hundred of millions to marabouts and clerics for prayers that turned out to be curses. You know what? It was less than 36 months ago. Less than only 3 years!. The good thing is, we are not going back . Not down that route. May we never see those days again. May we never see that PDP with his forever damaged and tarnished brand ever again. If there is anything anybody can accuse Buhari off, it will never be the wanton stealing of the states resources for any purpose be it for personal enrichment or electoral purposes. 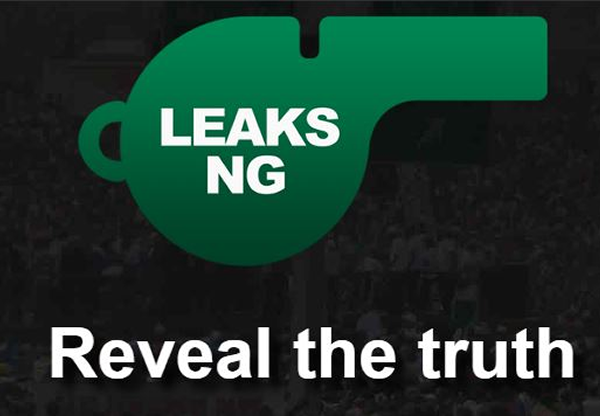 As I mentioned in my last article – https://www.thecable.ng/nigerians-blame-politicians-lies , the rate at which the country’s reserves is growing is one of Buhari’s greatest achievement in the last two years and a bit. Please permit me to say once again – THIS GOVERNMENT IS NOT CHOPPING YOUR MONEY. Other visible achievements of this government are there for many to see if only they want to. Pension funds is getting to its destinations thank you Sharon Ikeazor. She is making sure our retired people’s money get to them. Hadiza Bala Usman is doing a stellar job at NPA ‘sotay’ all the enemies of Nigeria who sat on the country’s money and did as they pleased are crying. Colonel Ali is doing a yeoman’s job at Customs. Look at the numbers. Similarly with Tunde Fowler at FIRS. Record numbers day in day out. N-Power is recruiting Nigerians from lower down the class chain without the influence of a big man or a political big wig. Public school children, majority of whom are from poor families are getting at least one decent meal on a daily basis. We have seen the significant uptake in electricity generation and distribution. We have seen the significant achievements in the roads infrastructure with more to come apparently in 2018. What is there not to like. All these are to the credit of Nigeria and to Buhari for bringing these people into government and allowing them do their job without interference. Yes there are big challenges. Yes there are frightening problems. But guess what? These are issues that everybody agrees predates Buhari. When Sambo Dasuki could dole out almost a billion each to more than a hundred people. When low lifes like Fani Kayode could buy an Abuja mansion and several SUVs from the campaign funds he received, when electoral officials could collectively receive billions, when the Kola Alukos and Jide Omokores of these world could buy yachts and Wall Street mansions, when pastors could buy multiple jets, the induced noise wasn’t as high as this because when the overlords have their beaks wet from the common purse, they gave their goons a stipend. Boys on the street were happy. But now, the funds have dried up. The Federal Government of chop I chop has closed ‘chop’. And permit me to say, that is the reason for all these anti Buhari noise. If this government was stealing money, the closest person to the President will not be upset about legacy. Mrs Patience Jonathan didn’t care about legacy. All she wanted was continued access and in dollars for that matter. Buhari is clannish OBJ said in his letter. It was lack of Murtala’s clannishness that resulted in his death. You want Buhari to put his personal safety in the hands of his enemies to show that he has open mind? Any world leader’s inner circle – Obama, Bush, Clinton, Tramp, Theresa May, David Cameron, Angela Merkel are all clannish. Your Chief of Staff, your NSA, your Intelligence Chiefs, your security appointments are people you must have implicit trust in. Chief Olopade and Chief Fasawe spent considerable time in Aso Rock and the corridors of power when OBJ was president. Sunday Afolabi, Babalola Borishade, Tafa Balogun, Mrs Mobolaji Osomo were all personal appointees and close friends of OBJ who misbehaved seriously. Kayode Are was brought from DMI to Head DSS/SSS because he is OBJ’s kinsman. You can read from several sources how the top positions in Goodluck Jonathan’s Government went to people from the South South or South East. The clannishness of Nigerian Presidents or indeed Presidents from all over the world did not start today. The challenges we have in Nigeria requires painstaking changes. Many people complain about lack of systems, processes etc and hearken back to the days of OBJ when unilateral kneejark decisions were made. Buhari is looking at long term solutions. Take this terrible herdsmen and farmers’ clashes as an example. How can you wantonly arrest people when there are whispers that Governors are behind some of the violence? How are you going to prosecute a man with immunity? The decision to put some thought behind the clashes and come up with the idea of cattle colonies is a good one as it (to a large extent) permanently resolves the flashpoints we experience every year. If these issues are easily solved, they would have been solved long before Buhari had a chance to be President. Yes OBJ is a powerful voice in Nigeria but I dare say only amongst the elite. The billionaire businessmen perhaps, the Captains of industries, the political class etc but as an electoral asset, OBJ is a duffer. He can’t influence the elections in any of the South West states. He is well liked in the North but the conventional wisdom is that Buhari is bigger electoral asset than anything OBJ can muster in the core North where the big numbers are. Take a look one time at the 2015 Presidential election results. Name one single state you think will change hands as a result of OBJ’s intervention. I make that NONE. There in lies the political usefulness of OBJ’s letter. If you want to defeat Buhari, get on your bike, don’t try to blackmail him from running. Mobilise for your candidate, don’t muck up your party’s primaries and make sure Governors Wike, Okowa and Udom are funding your bid. Despite Jonathan vowing to OBJ to run only one term, he reneged and ran. Meanwhile Baba OBJ wants the man with the constitutional right to now step aside. Did he kill Jesus? The elections are less than 13 months away. We shall soon find out.